As part of a national conversation sparked by the Ken Burns and Lynn Novick epic documentary “The Vietnam War,” Vegas PBS honored local Vietnam veterans, hosted forums to discuss the film and their individual experiences, and connected them with job opportunities and workforce readiness programs. In ten parts, “The Vietnam War” told the story of the Vietnam War as it has never been told on film, with firsthand accounts from nearly 80 witnesses including Americans who fought in the war and others who opposed it, as well as Vietnamese combatants and civilians. 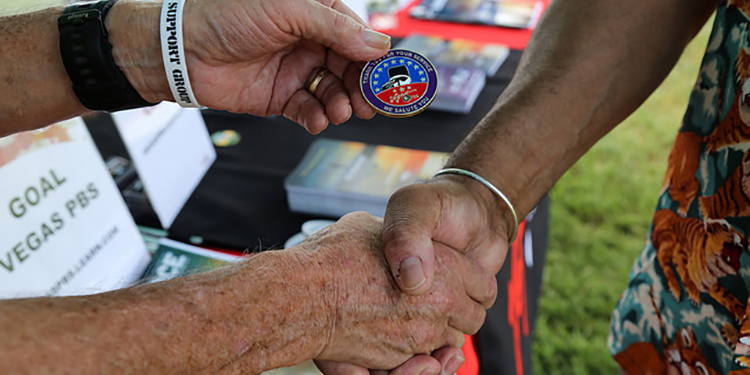 With support from Veterans United, a mortgage lender serving veterans and military families, the station created the Vietnam Veteran Honor Coins to thank local veterans for their service. The coins represent a symbolic “welcome back” to many who recall a mixed and, at times, negative reception from the public on their return from Vietnam. 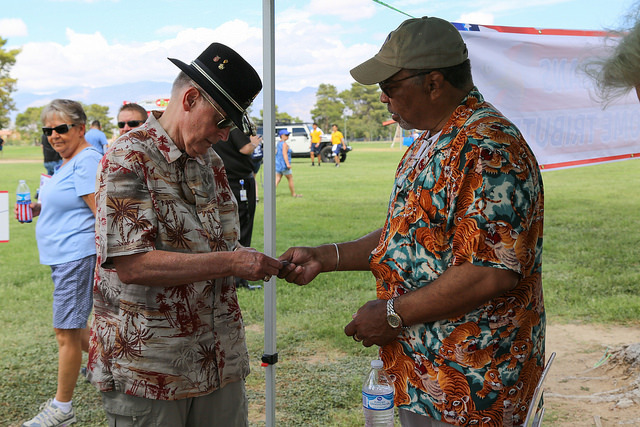 Vegas PBS presented 1,000 commemorative coins at community events throughout the region, at a Military and Veterans Appreciation Day at Craig Ranch Park, at the Veterans Hospital in Boulder City and at the Las Vegas WIN Rotary. Vegas PBS began monthly Veterans Coffee and Conversation events by inviting feedback on “The Vietnam War.” The talks, sponsored by Starbucks and promoted at coffee shops around Southern Nevada, run the third Friday of every month and provide an open forum for discussion about timely topics of concern to veterans. Nearly 1,500 public media stations like Vegas PBS provide unique services like these to their local audiences. Through high-quality national programs such as “The Vietnam War” and initiatives like Veterans Coming Home, stations facilitate discussions and help address community concerns such as the military-civilian divide, education and workforce challenges and opportunities. You can learn more about stations’ engagement work in service to veterans here.